Kellan’s new life in the magical town of Vale Valley is filled with more love and joy than he’d ever dared dream of. Even more thrilling is the new life growing in the egg he and his Alpha wolf mate watch over night and day. When their hatchling still fails to appear after several weeks, Kellan fights his growing fears about the uncertainty of a swan mating with a wolf. 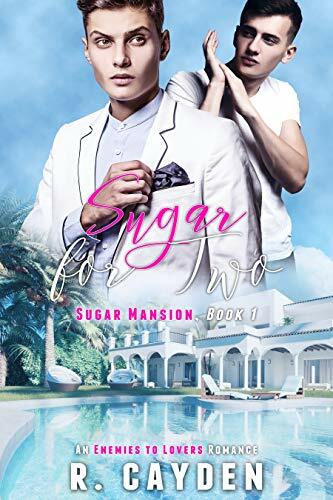 Angel, an alpha who’s left the violent, strictly hierarchical rules of his pack to find success in the big city, and Leo, an omega on the run from his abusive alpha, are thrust together to satisfy Leo’s urgent heat-lust. But can a once-hurt omega ever trust an alpha to care for and protect him again? And can an alpha sensitive to social injustice learn to enjoy his naturally dominant nature? Omega Reclaimed is a MM alpha/omega shapeshifter novella. Whatever this is between them, it won’t come easy. Plagued by distrust and danger from within and without, but if they survive, it just might be worth it. With a business to run, a terminally ill mother to care for, and a dead beat father causing trouble, secret dreamweaver Sean Hastings has no time for love. Unfortunately for him, love doesn’t feel the same way. When Sean stumbles into a handsome stranger’s dream only for things to get too steamy for comfort, his entire world is thrown out of balance at a time when he can’t afford the distraction. And when said handsome stranger shows up at his shop and Sean sees that he remembers the dream just as well as Sean does? Love has plans all its own. Ryder Cole is trying to keep his life from imploding, but when he meets his dream lover in real life, keeping their explosive chemistry under wraps might just be the end of him. Ryder knows that the dream wasn’t a coincidence, but with internal strife ongoing in his pack, he’s not sure how to make it work. Sean is the one for him, but Ryder is convinced their dream meeting has deeper meaning and that it has wider reaching complications. Add in a robbery, murder, and some rumors that hit a little too close to home, and all of a sudden, it places Sean directly in harm’s path. But all is not lost. With a lot of perseverance and a little patience, even Sean and Ryder’s worst nightmare might still turn into their dream romance. Cool Nights, Hot Dreams is a 49k M/M shifter novel featuring a patient alpha with pack woes, a standoffish love interest with unique psychic abilities, a nosy best friend who can’t leave well enough alone, and donuts. Lots of donuts. Cool Nights, Hot Dreams is part of the three book series Wolves of Aurora and ends in a HFN to reprise in the next book. Finally free of his ex, Jedrik vowed to never let himself get hurt that again. No more love. No more pain. He keeps his head down and works hard at his own custom furniture business. But when his assistant invites him to a “munchin” (aka. a swingers part) he decides to finally let himself have some fun. But he never expected to run into two scents that would change his life. Each novella has previously been published. There’s been no changes to content. We’re an inclusive library of romance titles across the queer rainbow. Use the book search, our filter search, or the menu bar links. Join our weekly newsletter list, and we’ll give you five free ebooks, and you’ll be able to add books to your TBR list and “favorite” authors. Questions? Email scott@queeromanceink.com.